xoxo, Jen: Girly Bits for September Polish Pick Up: Antici...pation! Girly Bits for September Polish Pick Up: Antici...pation! 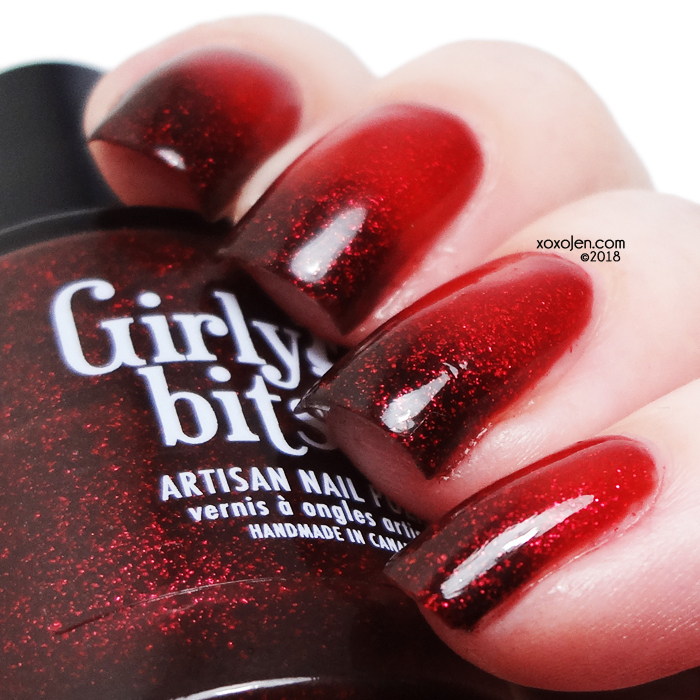 Girly Bits' September Polish Pick up was inspired by Rocky Horror Picture Show. Its original release date was Sept 07 - Sept 10 2018. Antici...pation! 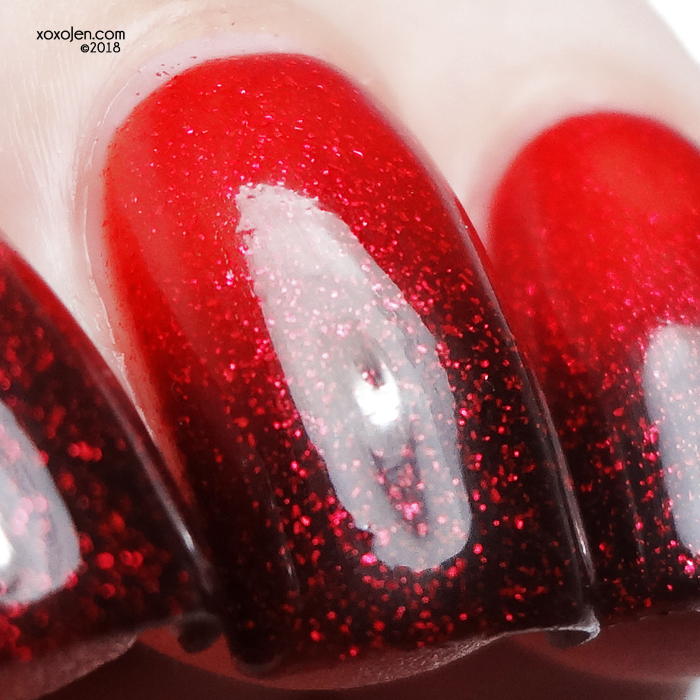 is a black to red thermal filled with blood red shimmer. Just look at the depth and squishyness of this polish! The thermal transition is pretty cool as well. I wore two coats with topcoat for photos. The formula was fantastic. Did you pick this up last month? Have you worn yours yet?